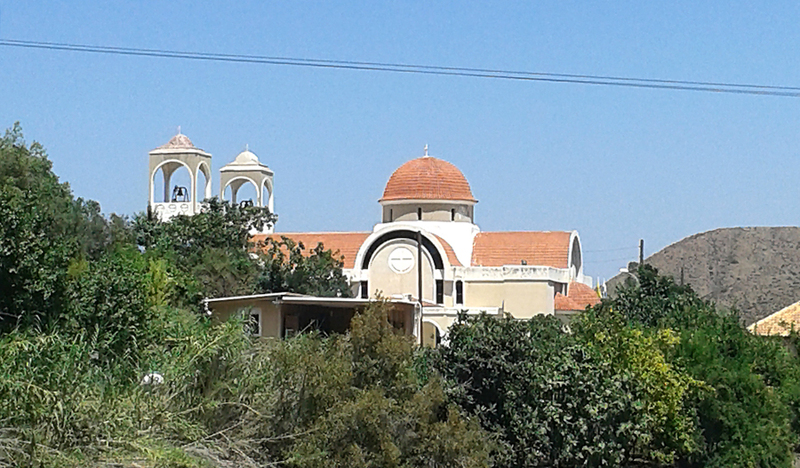 It’s lamentable when tourists only see their hotel and the ocean in Cyprus. Mountains, small villages, ancient churches and wineries – this is what you should travel the island to see. 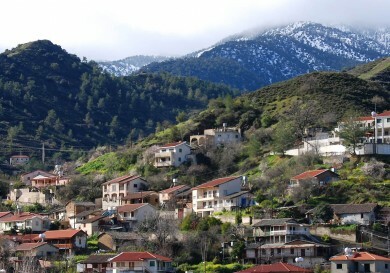 The village of Omodos is located near to Limassol, on the slopes of the Тroodos Mountains. 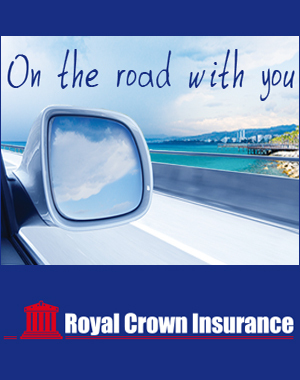 It is as if split by the river Ha Potami into small hilly islands. Reeds, sycamores, olives, mulberry trees and beautiful pines are a common sight, whilst wineries rise along the slopes of the mountains in terraces. All these give the village its special charm. French traveler, Gondry, who visited here in the middle of the 19th century. 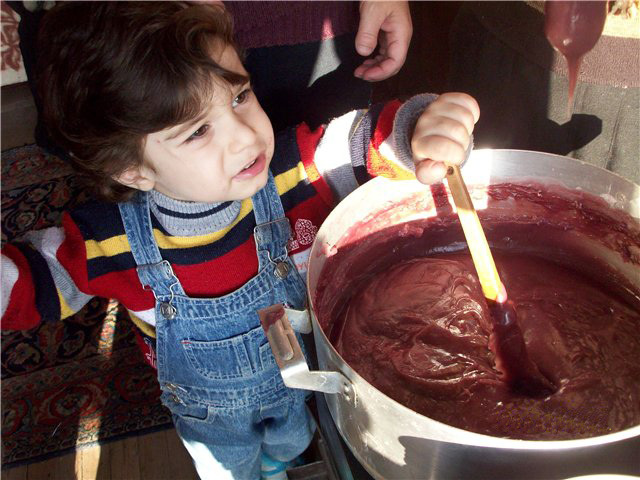 Apart from Cyprus wine and Zivania, the villagers make traditional sweets from grapes – Palouse, Shudgukous (Suzuko) and Keftedya. 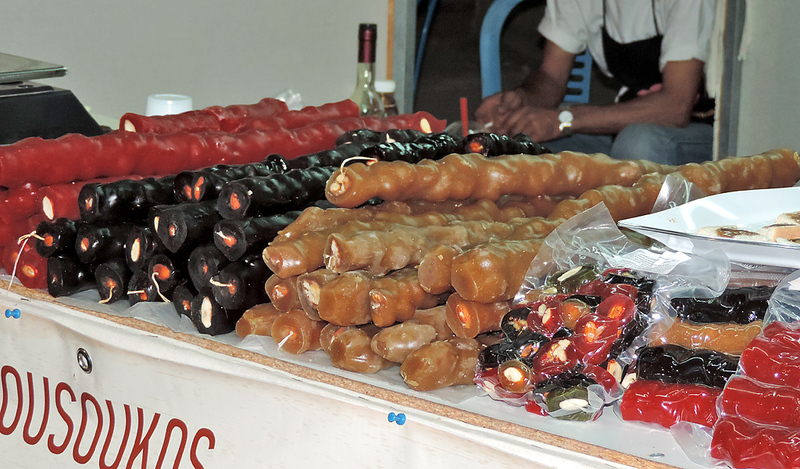 I don’t think there’s a single house in the little village which doesn’t produce these sweets. Tourists come especially to watch it being made – with huge spoons over tanks of boiling grape juice. 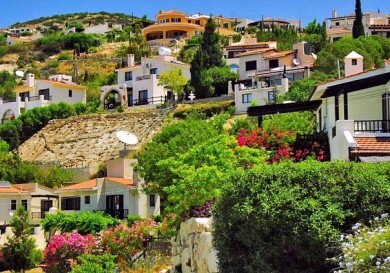 But Omodos is not only famous for its grapes and wines. A lot of fruit is grown here and jams are made which are well known across the whole of Cyprus. Orange jam (bitter orange), jam made from cherry and bergamot, from quince and figs, walnut and watermelon. There is even a jam made from eggplant and marrows! You can try all these at Mr. Socrates’ place. He is an hospital Cypriot with the hands of a wine grower, who produces wine and Zivania, whilst his wife makes jam and lace, producing delicate napkins, cloaks, table cloths and collars. Socrates and his wife are also heads of their own family museum. The museum evolved over time – the house is about 400 years old, several generations have lived in it and the old items preserved. Old bits and pieces suddenly become witnesses to an era long since passed, and are pulled into the light and cleaned and repaired. Everything necessary for country life is collected in three little rooms on the upper floor of this traditional Cypriot house, and also in the yard, the kitchen and the dining room. 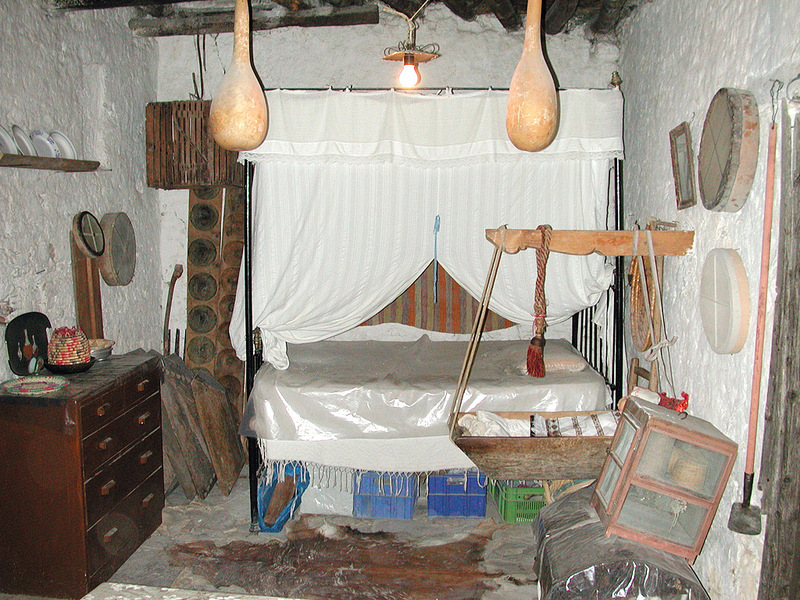 Here is a stone mortar to grind coffee and grain, a plough, a hootch still and a device to make rose water, pictures of the six generations, wedding dresses made of white silk, a home loom, bellows for a small smith, different tubs and devices for the production of sheep and goat cheese and a child’s crib where babies were rocked to sleep. Mr. Socrates loves to show visitors an interesting door which leads from the house into an inner yard. It closes easily enough, but few people can work out how to open it, although the lock is really very simple – just a little wooden wedge. 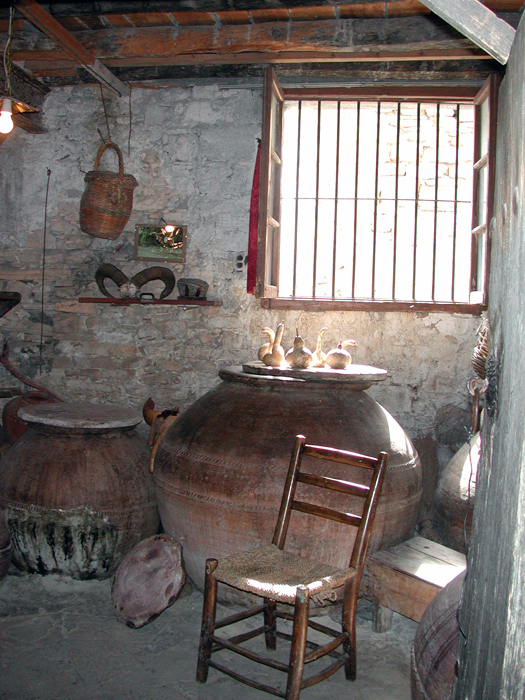 If you drop in to Mr. Socrates’ you may be in for a generous treat – a glass of his own home made village wine. Long before the gardeners and wine growers settled in the area, a monastery, one of Cyprus’ oldest, appeared near the river Ha Potami. The history of the place dates back to the 4th century and is linked to the Tsarina Yelena, the mother of the Emperor Konstantin. Being an elderly woman, Saint Yelena undertook a pilgrimage to the Holy Land where she found the cross with evidence of the sufferings of Christ. Upon returning from Jerusalem, Saint Yelena stopped in Cyprus and, as legend has it, left a piece of God’s Cross and the bonds which tied his hands when he was led to execution. Word has been passed down through the generations that there was first a small chapel here before the monastery, whose members grew grapes, fruit, vegetables, olives and made bread. 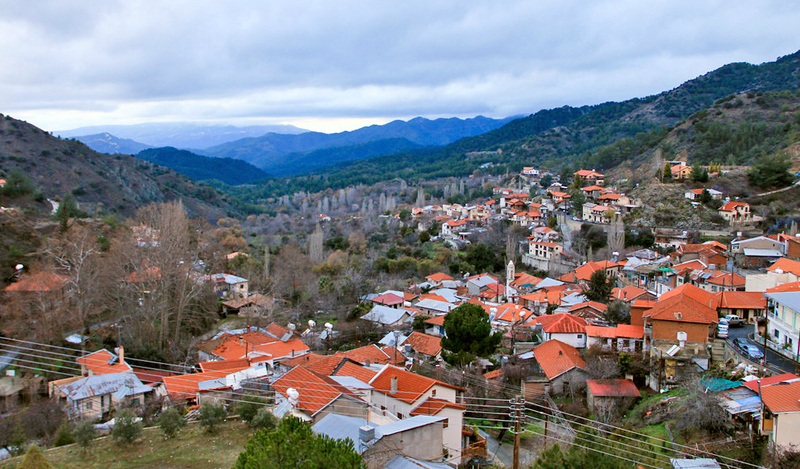 Omodos monastery and its shrines in their works. The Russian pilgrim, Vassily Grirorovich-Barsky, who visited the monastery in the 30’s, even described it in detail. The monastery was protected by the Turkish sultan. No one could encroach on the lands of the monastery and its buildings. 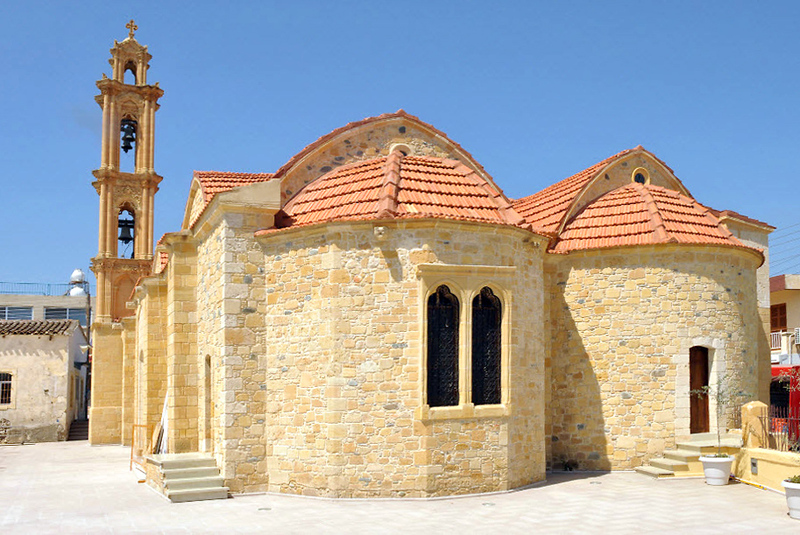 Other monasteries and churches often entrusted their shrines to the custody of the Omodos monastery fearing looting and confiscations. The iconostases of the monastery are beautiful and majestic. 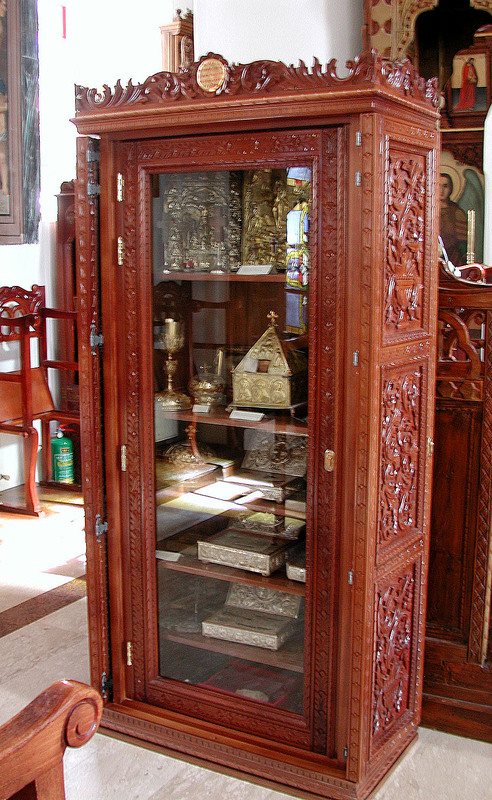 Apart from Russian icons painted in the fryaga style, the iconostases hold icons by Cypriot and Greek icon painters, whilst to the right of the Savior, under a small canopy, there are two large silver crosses, one of them holds a piece of the Life Giving Cross of God brought by Saint Yelena, whilst the other holds Christ’s bonds. During the festival on the Day of Exaltation of the Honourable and Life Giving Cross, both shrines are taken out to the centre of the church for worship. 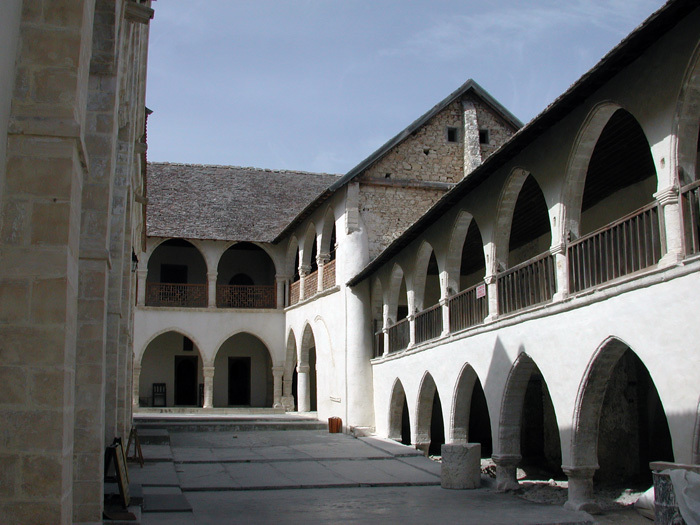 After Turkish repressions and punishments in 1821, the economic situation of the monastery became shaky. After the last monk died, the monastery became a parish church. Now two priests serve there and not only take care of their parishioners but also three small museums located in the monastery buildings – of Byzantium icons, applied arts and the museum of the history of the liberation movement. … Small narrow streets winding between little houses with dark blue doors and shutters. Front gardens, always full of flowers. Elderly ladies bending over their needlework. A village square paved with stone. This is Omodos. 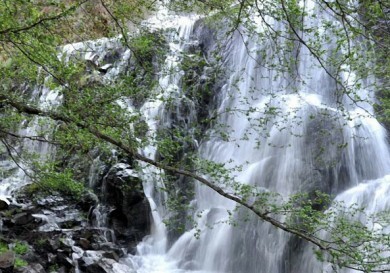 If you visit it at least once, you cannot help but give in to its charm.